Photography is a great way to allow kids to explore and expand their creativity. During this fun-filled private photography class, children will have the opportunity to explore their creativity, use their imaginations and use different perspectives to communicate their ideas, thoughts, and feelings. 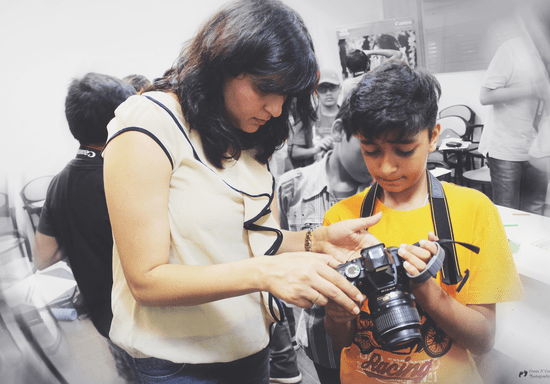 The instructor Anushri Kumar, a professional photographer, will guide them through every step, help them explore their camera as well as their creative talents and ensure they have a great time all through the course. In addition to learning about their cameras kids will also learn to be creative in the way they frame their images by taking pictures from different perspectives, understanding how to create compositions and using photos for storytelling. 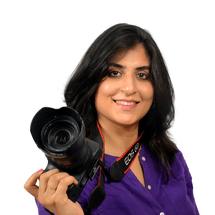 "Anushri is the coolest teacher, she is truly passionate about photography and its infectious! She is patient and really knows what she is talking about, i had an awesome time and I learned so much I ddnt want the class to end! i would definitely recommend her class." "I strongly recommend this course for young children - the quality of training is in depth & good. Trainer has a skill set that works really well with children"